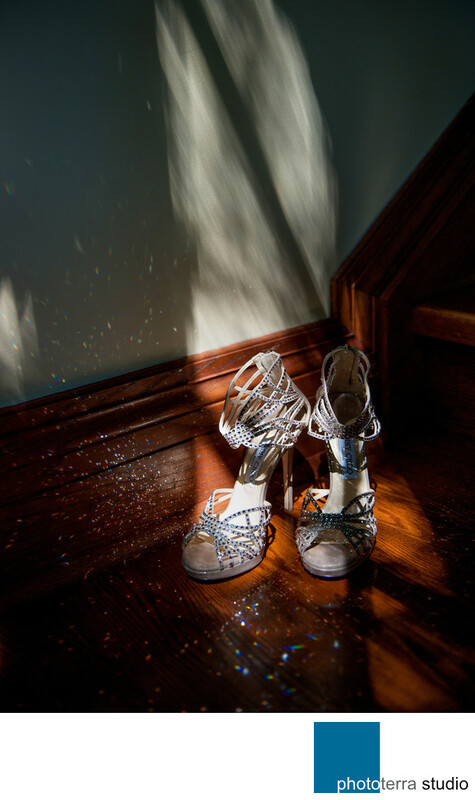 When we walked into the beautiful family home of the bride we came across her wedding shoes which were left by one of the staircases leading up to the upper level. It seemed we came across them at the right time as its rhinestones were reflecting light in a variety of directions creating a sparkling effect. Photographed by Michael Greenberg in Toronto Canada, this photograph turned out to be one of our most unique wedding shoe shots of that year. No real editing was required for this wonderfully composed shot as the lighting was already perfect.